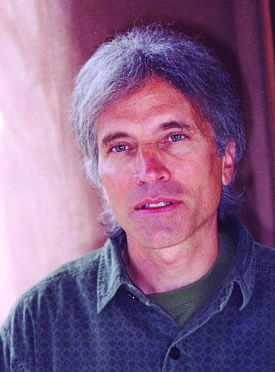 Bill Plotkin, PhD, is a depth psychologist, wilderness guide, and agent of cultural transformation. As founder of western Colorado's Animas Valley Institute in 1981, he has guided thousands of women and men through nature-based initiatory passages, including a contemporary, Western adaptation of the pan-cultural vision quest. Previously, he has been a research psychologist (studying nonordinary states of consciousness), professor of psychology, psychotherapist, rock musician, and whitewater river guide. Bill is the author of Soulcraft: Crossing into the Mysteries of Nature and Psyche (an experiential guidebook) and Nature and the Human Soul: Cultivating Wholeness and Community in a Fragmented World (a nature-based stage model of human development through the entire lifespan). His doctorate is in psychology from the University of Colorado at Boulder. Nature and the Human Soul illustrates how great cultural changes can come when people allow themselves and their children to fully engage with the world. Bill Plotkin, also author of Soulcraft and founder of the Animas Valley Institute, describes himself as a “psychologist gone wild.” As a cultural visionary, author, and wilderness guide, he’s been breaking trail for decades.